The immunotherapy field is booming right now. Many new therapeutic monoclonal antibodies are being developed to treat cancer, autoimmune diseases, and other chronic conditions. These monoclonal antibodies harness the power of the immune system to treat a given disease or condition, but off-target effects of these antibodies can cause lethal or destructive immune reactions. 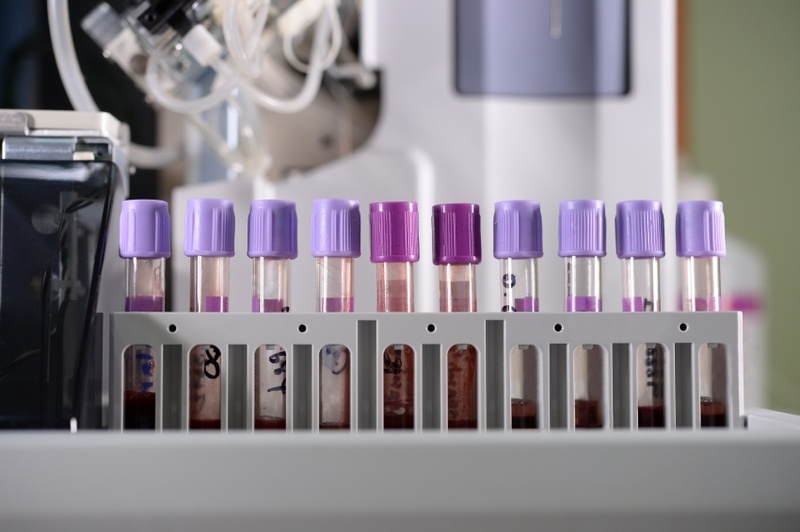 Flow cytometry-based assays can be used to screen for unintended cross-reactivity of monoclonal antibodies with peripheral blood cells, and this in vitro screening can help steer preclinical development toward both safe and effective antibodies. Therapeutic molecules like monoclonal antibodies are only effective if they bind to their target specifically and are not rapidly cleared from the circulatory system. These critical features can be measured using flow cytometry so that researchers can quantify the binding activity and stability of antibodies in peripheral blood samples. This information is essential for identifying viable antibody candidates and advancing them down the preclinical development pipeline. Cell receptor targeting is a strategy used by many therapeutic molecules that are already on the market or under development. Therapeutic molecules, like monoclonal antibodies, can bind to cell surface receptors to block receptor function, engage a response, or target the cell for attack by other cells. Flow cytometry assays can monitor the presence of cell receptors on the surface and are critical for evaluating interactions between the receptor and the molecule designed to bind to it. Receptor occupancy assays can quantify how many receptors are bound by a given molecule, and this is important data for characterizing a therapeutic molecule. Flow cytometry can be used for many preclinical tests and is highly customizable. The most powerful characteristic of flow cytometry is that many of these assays can be done simultaneously with deep phenotyping resulting in multilevel information in a single assay. Consider flow cytometry-based assays as you work out your preclinical testing scheme.